Pony Camps are held during the school holidays and midterm breaks. Improve your riding with dressage, showjumping, cross country and fun & games! Pony camps are suitable for the novice or intermediate rider looking to advance their skills in an energetic and fun environment. 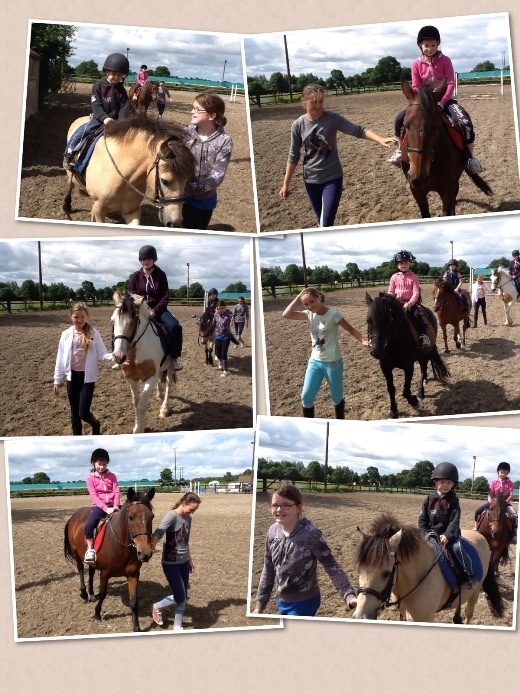 Three day midweek camp, non-resident – two hours riding each day, inc flatwork, jumping, games, treks, stable management (care of the pony) & lots of fun! 2019 Easter Pony Camps 24-26 April, Beginner/Novice & Intermediate. Text Andrina (Wed-Sat) 085 8519353 or call 04493 48331.